I’d like to introduce you to the ninety-sixth interviewee in my ‘Meet the Author’ series. She is Maria Constantine. Hi, Maria! Welcome to Susan Finlay Writes blog site. Can you tell us a bit about your background as an author? Hi, Susan and thank you for inviting me to your blog site. 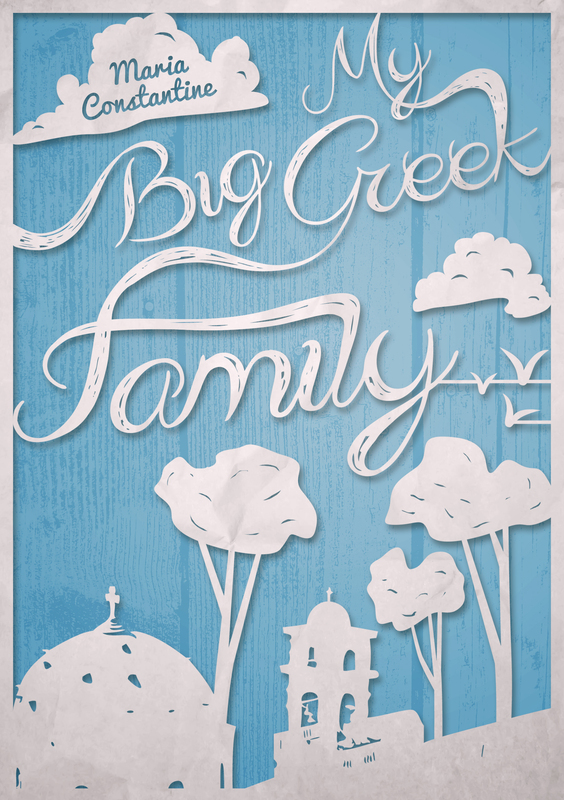 My Big Greek Family is my debut novel and the first in a family saga series. My interest in writing goes back many years as I enjoyed creative writing from a young age and knew that one day I would write novels. My English teacher was surprised I chose to study Law at university, and as she predicted I returned to my love of creative writing; when both my sons started school I decided the time had come to write my novel. Your book, My Big Greek Family, is a heart-warming, humorous, family saga published on October 16, 2013. Can you tell us about the book? What inspired you to write it? The story is set mainly in London and partly in Greece. Georgina and her sisters reach a crossroad in their lives where they have to make changes, if they are to lead the lives they want to lead as opposed to the lives they are expected to lead according to Greek traditions and family expectations. Sibling relationships, cultural identity and inner fulfillment are themes explored in the book. My second-generation background inspired the story; I was born and raised in London, but my parents had emigrated from Cyprus in the 1960s and so I grew up with both the British and Greek cultures. I wanted to write a novel that was fun, light-hearted and entertaining but with the added dimension that my protagonists would be second-generation women reconciling two cultures as they overcome fears, find romance and change the course of their lives. I was keen to enter mainstream commercial women’s fiction with a different voice and write from a different perspective. Did you draw from your own family when you created the characters and plot for this book? The story is fiction as I needed the creative freedom to create the characters and develop the plot. I was able though, to draw on a life-time of experiences for inspiration. Parallels with my own family can be found in that I have two sisters and developing the sisterly bond in the story came with ease. My mother’s brothers have a wonderful sense of humor and I wanted to capture the jovial atmosphere at family gatherings in the opening chapters where Georgina celebrates her thirtieth birthday. Initially, I found it difficult writing dialogue for the mother’s character as I had to ignore grammar rules and hear the character’s voice in terms of how she would speak as opposed to how someone with perfect English would speak. Indirectly my mother helped to capture Christina’s voice with authenticity as English is her second language too. Are you working on a new book or project? I have nearly finished a book promotion and it took time researching different aspects such as metadata, book visibility and book marketing. It was very much a learning process and I was delighted when the book became an Amazon US and UK Top Ten Bestseller in Parenting and Family Humor. I am also working on the sequel as there are at least two more books in the series. Where did you get your book cover? I worked with Authoright as I had met Gareth Howard on a number of occasions at the London Book Fair and decided that I wanted to place the author website and book cover under one umbrella. Can you give us a brief excerpt from your book? I’ve chosen an excerpt from chapter 20 as I know you love cats, and indeed a cat plays an important role in one of your novels. A scrawny grey cat sat defiantly in what Sophia regarded as her seat. She tried to shoo it away to no avail; it proceeded to stretch its legs and lick its furry limbs. Sharp claws appeared and she took a step back. ‘You’re not being reasonable, Loulou.’ Regal and austere features stared back at her. ‘You know what you remind me of? Those statues of ancient Egyptian cats in museums. I don’t care if you belonged to the Queen of Sheba, this is my seat.’ She flung her hands in the air and then turned around at the sound of approaching footsteps. Oh no, she thought with dismay, not their neighbour again! He was always catching them when they were in a state of despair and frustration – and she was sure she caught him shaking his head with a patronising smile partially hidden behind a cloud of cigarette smoke. So what, I don’t care, she decided as she marched inside to hurry the others along so they could leave. The sea was beckoning them from across the street and the sun was calling them to sun-bathe under its smouldering heat. Thanks, Maria. You’ve studied foreign languages,lived in Germany, and traveled a bit. How has your experience influenced your writing? I find travelling enriches my writing as I have more to draw upon when creating characters and plots. I realised, while living in Germany, that second-generation women from a different cultural background to mine were facing similar challenges in reconciling two cultures; in my book it is British and Greek-Cypriot, but it can apply to different cultures. This encouraged me to develop the themes within My Big Greek Family. My travels in Greece also provided me with the material I needed for writing the chapters set in Athens and Halkidiki. I start in the morning when everyone has left and there are no distractions. As silence descends I make my way to my small office with a mug of freshly brewed coffee and sit at my desk which overlooks our large garden; I try not to look out of the window and daydream, and if I do I put it down to the perks of being a writer. I can get more work done during school term as school holidays break up my writing routine and I often have to work late into the night to catch up. What are your favorite and least favorite parts of writing and publishing? My favorite part is writing the first draft, particularly when the characters come to life and you know in a given situation what your characters think, feel and how they will react. My least favorite part is proofreading the Mobi and ePub files to make sure that errors have not slipped in during the conversion process; the manuscript is professionally edited and proofread but I double-check everything before publication. There are many advantages of being an indie author, but there is the added pressure of getting everything right because you are ultimately responsible for all aspects, from creation of content to the final product. What books or authors have most influenced you in your own writing? Many authors have contributed to my love of creative writing – from John Grisham to Jane Austen and Marian Keyes. I believe a passion for reading goes hand in hand with a passion for writing. I read a lot of commercial women’s fiction while writing My Big Greek Family, and was encouraged to continue with my book when I came across ‘Eat Drink and Be Married’ by Eve Makis. Mary Jane Staples’ family saga series inspired me to think long-term about my characters and how I would develop different story-lines for various family members in subsequent books. I am indebted to so many authors who have influenced my writing through decades of reading. Once again, Susan, I would like to thank you for taking the time to interview me for your blog site and look forward to reading any comments. Thanks, Susan. Maria is a fascinating person I met on Authonomy two years ago. We read portions of each others’ books long before they were published. 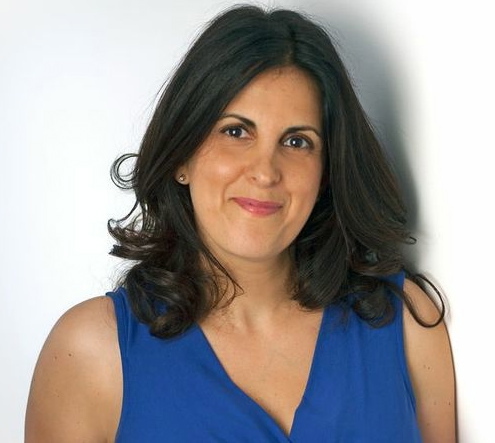 Leave a reply on "Meet the Author: Maria Constantine"